32 HWY / 23 CTY MPG Rating. The new 2017 Honda Accord Sedan offers sophistication in the completely redesigned 2016 body style, with bold lines and a strong stance from every angle. Inside enjoy the spacious 5-seater cabin, offering many features and technologies in up to 103.2 ft2 of passenger volume. The 2017 Accord Coupe offers a sporty option to the Accord’s sophisticated style. It’s sleek curves, race-inspired aerodynamic shape and sharp wheels keep you looking good from every angle, and its smart technologies inside keep you connected while on the road. 47 HWY / 49 CTY MPG Rating. It’s back and better than ever! The Hybrid re-enters the Accord line-up for 2017, combining the striking Accord Sedan body style and many exciting technologies and features with its impressive fuel economy of up to 47 MPG Hwy and 49 MPG City. 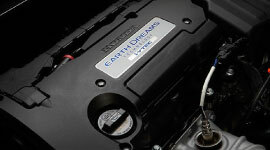 The 2.4 liter i-VTEC® 4-Cylinder EarthDreams engine is smooth, powerful and reliabile: traits Honda engines are known for. 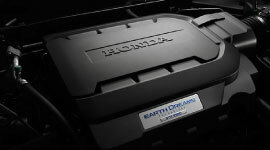 It is combined with the exceptionally efficient Continuously Variable Transmission (CVT) resulting in an EPA highway rating of 34 mpg. With 278 horsepower and 252 lb-ft of torque, the Accord 3.5-liter V-6 is the most powerful engine Honda has available in the sedan and coupe models. 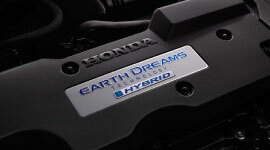 EarthDreams technology, direct injection, i-VTEC® and Variable Cylinder Management (VCM), combine with an efficient 6-speed automatic to give the Accord V-6 models an EPA rating of 32 highway mpg. With an impressive estimated-EPA rating of up to 49 MPG Hwy, the 2017 Accord Hybrid features an industry-first two-motor hybrid system, which uses one motor to accelerate from a dead stop and a second to start the engine and charge the first motor. 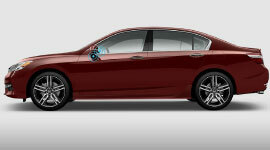 Switch to Sport Mode in Accord Hybrid and tap into both motors for better acceleration and added exhilaration. 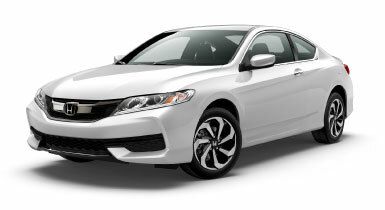 Experience the Accord’s Driving Performance for yourself! The 2017 Accord models come standard with many of today’s must-haves like Bluetooth®*, MP3 Player, Backup Camera, Miles to Empty Indicator, and much more, and even some higher level features standard on even the base models, like Dual-Zone Climate Control. 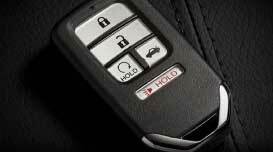 Want luxury comforts with the Honda price tag? From Remote Engine Start and voice-activated Honda Satellite-Linked Navigation System™  to Honda Sensing™ safety and driver assistance technologies, the 2017 Accord has available top-shelf technology offerings to help make the most of every drive. 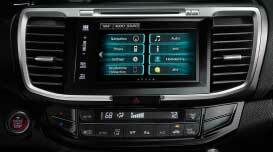 Access your favorite music, podcasts and more through your compatible smartphone from your Accord Infotainment system. 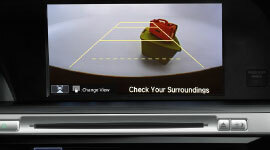 Enjoy the standard i-MID with 8” High-Res WVGA (800×480) Screen, or upgrade to the available 7” Display Audio Touch-Screen. Whether you are freezing in another northern winter, or sweltering in the hot summer son, with the available Remote Engine Start, you can get the engine running and preheat or precool the cabin so the temperature is perfect before you even open the door. 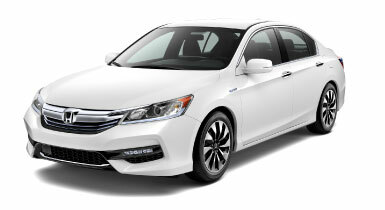 Experience the Accord’s Technology for yourself! From Remote Engine Start to Honda Sensing™, the Accord is available with top-shelf technology offerings to help make the most of every drive. Get a better view of what’s behind you with a Multi-Angle Rearview Camera that offers three different views: normal, wide and top-down. 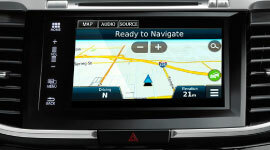 Be your own navigator in Accord Sedan and get to wherever you want to go with the Honda Satellite-Linked Navigation System™. The 2017 Honda Accord Sedan and Coupe have many available lane and road driving assistant features, available on select models. Lane Keeping Assist System. If your vehicle begins to stray from the center of a detected lane without signaling, the steering adjusts to bring you back to the middle. Adaptive Cruise Control. Helps you maintain a set following interval from a vehicle detected ahead, so you don’t have to manually change your speed. Collision Mitigation Braking System. Helps bring the vehicle to a stop when it senses an otherwise unavoidable collision with a vehicle detected in front of you. Road Departure Mitigation System. A small camera sees road markers, alerts you if you’re about to leave the road and can take action to keep you from doing so. THE 2017 ACCORD IS HERE! 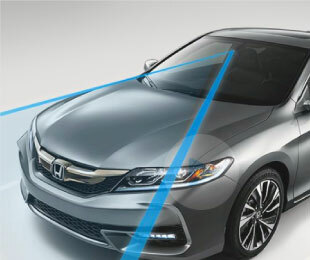 For more information about the latest Honda technologies and features available in the new Accord, simply give us a call at (585) 978-3070 to setup a Test Drive, so you can experience everything first hand. *2017 Accord EX-L V6 Sedan – MSRP: $31,870 – CR3F8HJNW. 36 month closed end lease. $3499 trade or cash down. First payment, $595 acquisition fee, taxes and DMV fees due at signing.12,000 miles/year. $0.20 overage. To qualified buyers through AHFC. Offer valid through 1/2/2018. MSRP excluding tax, license, registration, $890.00 destination charge and options. Dealers set own prices. Coupe: 23 city / 32 highway / 26 combined mpg rating for 6MT models. 26 city / 34 highway / 29 combined mpg rating for CVT models. 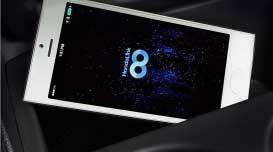 18 city / 28 highway / 21 combined mpg rating for 6MT V-6 model. 21 city / 32 highway / 24 combined mpg rating for 6AT V-6 models. Based on 2017 EPA mileage ratings. Use for comparison purposes only. Your mileage will vary depending on how you drive and maintain your vehicle, driving conditions and other factors. Hybrid: 49 city / 47 highway / 48 combined mpg rating. Based on 2017 EPA mileage ratings. Use for comparison purposes only. Your mileage will vary depending on driving conditions, how you drive and maintain your vehicle, battery-package/condition, and other factors. 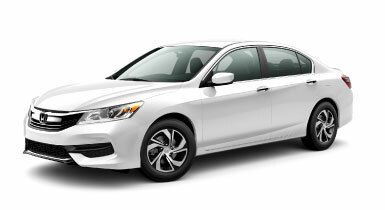 Sedan: 23 city / 32 highway / 26 combined mpg rating for 6MT models. 27 city / 36 highway / 30 combined mpg rating for CVT models. 26 city / 34 highway / 29 combined mpg rating for Sport CVT models. 21 city / 33 highway / 25 combined mpg rating for V-6 models. Based on 2017 EPA mileage ratings. Use for comparison purposes only. Your mileage will vary depending on how you drive and maintain your vehicle, driving conditions and other factors. * 103.2 ft2 passenger volume offered in 2017 Accord Sedan LX, Sport and Sport Special Edition models.